Ever the unwitting microcosmic reflector of the macro politics of its day, the often fractious and factional British poetry scene has recently been engulfed in various intrigues and infighting: most recently, this revolved around the controversy of a hedge-fund company being recruited to subsidise the annual T.S. Eliot Prize, following Arts Council England’s unceremonious disinvestment in its parent organisation, the Poetry Book Society. This rather compromised countermove on behalf of the PBS prompted two high profile poets to withdraw from the Eliot shortlist (more on which later). Simultaneous to this was ACE’s suspension of grant monies – for reasons as yet unclear – to that other bastion of the British poetry establishment, the Poetry Society, which, among other productions, publishes the flagship journal of established poetics, Poetry Review. PR was founded in 1912 by poet and publisher Harold Monro, and grew to be a broadly representative journal of contemporary poetry; but there are those who would argue that it has barely even ‘ostensibly’ served this purpose in recent years. There has been a swelling insurgency among members and subscribers for some time now against what they have perceived as PR’s habit-forming promotion of a small cosseted elite of ‘big names’ at the expense of a more comprehensive representation of the poetry scene. But it is not that particular internecine dispute which is the focus here; it is the equally cloudy quandary as to the journal’s oddly ambiguous stance on politics and poetry, especially at this time of austerity cuts and seismic shifts on the social map, which, in part, spurs this polemic. The summer 2011 issue of PR announced – over the incongruous photo of a bound-and-gagged naked man – in red capitals, THE NEW POLITICAL POETRY, which, perhaps with postmodernist irony, was less than qualified by much of the actual contents. But this ostensibly promising cover claim was also ambushed by the opening editorial by Fiona Sampson (whose resignation after seven years at the helm was announced towards the end of February), somewhat solipsistically sub-titled (my italics): ‘Where Is The New Political Poetry?, This poser came across as rhetorical, and was echoing recent journalistic questioning of the relative Quietism of literary establishments – ironic of itself, since journalism is notoriously myopic in its cultural scope (more on which anon). With further irony, the broadly postmodernist, apolitical platform of PR, known more for its robust representation of established reputations and imprints than for coverage of dissenting and radicalised poetics (and associated imprints), was hardly the obvious candidate to address this journalistic quandary. As Niall McDevitt put it succinctly at the end of his own polemic on the same PR issue, at The International Times: ‘The answer to the question ‘Where is the New Political Poetry?’ is: not in the Summer 2011 edition of Poetry Review’. This polemic is inclined to conclude the same. McDevitt evocatively alludes to a long-entrenched conservatism in PR’s editorial approach as the unspoken behest of (his) leitmotific ‘blue-rinse subscribers’; he also suggested the more appropriate title for this issue of PR would be ‘The New Politic Poets’ (noting the ironic etymological roots of ‘politic’ and ‘polite’ – ‘polis’, the Greek for ‘city’ or ‘body of people’ – ‘politics’ then meaning ‘of or relating to people’, or to ‘public’ issues). One could go further and argue that ‘realpolitik’ is the aptest term in this case, since much ‘political’ poetry in the British ‘mainstream’ seems often more generalised and single-issue-based than ideological. In a poetry culture in which there are so many unambiguously political poets – Michael Horovitz, Andy Croft, Niall McDevitt, Barry Tebb, Judith Kazantzis, Alexis Lykiard, Paul Summers, Andrew Jordan, John Gibbens, Owen Gallagher…. (the list is literally bursting) – it seems almost beyond belief that the flagship journal of contemporary British poetry which purports to represent its full gamut, so conveniently but unconvincingly ‘politicises’ – through the broadest definition possible – what is in the main consciously un-political output. It is an approach which feels only ‘political’ in strictly ‘literary’ terms, but not in any others. Readers might have been left pondering which ‘more declarative’ political poetry this “less declarative” species was being contrasted by, and perhaps my own alternative list provides some of the answer. One can make equally pedantic sport with this detectably pedantic term: some might see the word ‘declarative’ as a euphemism for ‘political’, thereby reading the phrase as “using less political forms”. But this phrase also conceivably provides those poets not wishing to ruffle any establishment feathers with a passport to coat any polemic of their own in thick applications of figurative impregnability. Nothing wrong with that per se, but it can smack of aesthetic convenience, and also suggest a hint of condescension towards any contemporary political poetry which chooses to express itself more directly than the commoner metaphorical meditation (say, peach bloom symbolising the fragility of social democracy); or which claims to be commenting on current socio-political themes, but without any evidence of this in its actual content. Moreover, could it be that most mainstream poets today are not appearing to write politically because they are in fact not writing politically, whether declaratively, figuratively or otherwise. Or is it all about being direct, even prosaic, in use of language, but always vague to the point of invisibility in meaning? There are times one wishes it was quite the other way round; anything to roil up the flat lucidity of much supplemental verse and shake some grit into it. But what seems to be being implied, conveniently for an establishment outlet, is a post-modern reassertion of the ‘politicalness’ of practically any and every subject (including, no doubt, peach bloom), in a similarly evasive manner to conceptual artists’ mantra that anything, no matter how mundane or apparently uninteresting, is ‘art’, and therefore also has political implications. What this is supposed to mean is – once again – porous to interpretation, though the rather hyperbolic reference to “mob rule” would appear to indicate a more propertied response to the recent riots. Anyone already wary of a perceived stylistic and critical conservatism in PR over the past few years will have no doubt balked slightly at the phrase “poetry’s rugged individualism”, which smacked more – probably accidentally – of a kind of artistic Thatcherism than anything resembling a new ‘Left Book Club’-like realignment (though of course it would be dogmatic to presume all ‘political’ poetry to automatically be left-wing – and PR’s editorial stance seems emphatically not that, but more liberal, or libertarian). There are many practising poets today who would argue that a form of ‘rugged individualism’ – or, as The Penniless Press’s fiercely polemical editor Alan Dent might put it, ‘narcissism’ – has increasingly pervaded the poetry – and other arts’ – scene(s) of the past thirty years, and has resulted in systemically narrowed poetic horizons in the British ‘mainstream’; just as, simultaneously, British poetry – mostly on the margins, through smaller imprints – has oppositely mushroomed into a rich and deeply varied renaissance which, ironically, has not been authentically represented through the established agencies (wilful blindness again?). Somehow the ‘poetry establishment’’s overall (anti-)‘stance’ feels too convenient, even synthetic, tacitly enabling more career-minded poets who don’t wish to speak out too openly against any government (even one which is forcing through legion impingements on our social rights, ransacking the welfare state – historically the refuge of poetic impecuniousness – and privatising the NHS, among other administrative vandalisms) to mop up their social consciences in amorphous metaphors but otherwise leave the gate open to sunnier uplands of un-nettled patronage. Some of those ‘selectively political’ poets were more in their comfort zones when – quite rightly – speaking out against library closures, but, in many cases, only against library closures, which was a bit like MPs toeing the line of the party whip and expressing opinions solely on issues contained within their own constituencies. Some poets, even more contentiously (or contradictorily), rallied to the otherwise politically astute Poet Laureate’s call to pen prompt verses congratulating the recently wedded royal couple in, of all places, The Guardian. Were we to interpret from that that none of those poets harboured any republican sentiments? If some of them in fact do, then what has happened to our poetry culture that poets who do not have the obligations of laureateship publicly contribute to a sudden gush of poetic nuptials just happening to coincide with a high profile royal wedding? Or are some of the most prominent poets of today, card-carrying monarchists? Or is this simply the latest evasive post-modern nuance designed precisely to open up such a debate among all heart-sleeved literalists? Whatever was behind that particular flinging of poetic bouquets, it sends some very mixed signals to that portion of the public who still hopelessly expect its poets to be a bit rebellious, oppositional and, dare one suggest, anti-establishment. ‘Bardic Spring’: Green Shoots of a Poetic Recovery? While Caparison’s anthologies, Emergency Verse and The Robin Hood Book, are amorphously partisan in terms of politics, neither are literarily partisan, but have been and are open to contribution from poets of all descriptions and allegiances. There were numerous higher profile ‘horses’ who simply would not sample the pool, even when invited. Why so much reticence ‘up there’ to take part ‘down here’, in what should be a common cause far and above the sum of its parts, or normally tortuous protocols, or impenetrable reputations, or hierarchical deference? If the British poetry scene is as “inclusive” and open-minded as its’ top apparatchiks frequently claim, then why such a labyrinth of partitions? It won’t do at a time such as this: there needs to be a more united front in poetic response to the prosaic punishments of austerity inflicted on us through this presently dehumanising right-wing government agenda. Certainly the augurs of early 2012 bode more promising than last year for a possible ‘Bardic Spring’: a stirring of political hormones in the poetry scene as the nation warms up after a second hibernating winter of austerity. The ‘poetry establishment’ and related flagship outlets do at least seem to be finally waking up to the causes of the day, having been – in the main – up until now, somewhat tortoise-like in intercepting the widespread verse response to ‘Con-Demonics’ from the broader ‘poetariat’ (over a year later, to be exact). But it is a promising sign of greater social engagement and lesser solipsism that these mainstream ‘late-starters’ have finally been snagged by the zeitgeist. Following on the heels of Poetry Review’s ‘polemical’ slot, long-established journal Acumen recently published its own ‘Do Poetry and Politics Mix?’ issue (No. 72) – even if this cover poser appeared to be rhetorical, as the Contents listed a titular capitulation, or rather, statement, ‘Poetry and Politics do not mix’ (again, echoing PR’s ‘rhetorical’ approach). More contemporaneously, in the spring 2012 issue of Poetry London, Colette Bryce’s editorial, sub-titled ‘Occupy Poetry’, commented briefly on the new surge of more politically engaged poetry as a sign of a verse sea-change (more on which further into this polemic). So does it seem now that the more established outlets are trying to readdress disproportional representation of poetries and topics? It might seem that after a period of cautious observation and peer-review, some are deciding they want to have a piece of the dialectical action. Fair enough; but in opening up to the political debate, it is important that they demonstrate the spirit of humility (even, dare one make so bold, ‘solidarity’? ), since their ‘awakening political consciences’ are currently on ‘catch up’. A less solipsistic approach would be more attractive than hinting at a prosodic superiority with which to more effectively tackle the urgent issues of today than the mere ‘lumpen poetariat’ of the saddle-stitched fringes are capable. It would however also be helpful in confirming that PR et al. do actually inhabit the same reality as the small presses and fringe journals if it didn’t openly sport borderline-myopic posers which appear to ask something in a manner which clearly doesn’t want to be answered; at least, not by anyone outside its own pages. Nevertheless, today’s poetry grassroots can take heart such outlets are at least starting to ask the relevant questions (even if rhetorically), and possibly, in time, some of them may start to answer them. It’s open to debate as to whether this belated ‘engagement’ indicates the true stirrings of a tidal shift in poetic focus – or more simply pragmatism: the realisation that it is increasingly important to at least appear to be addressing the new austerities dominating the minds of most ‘readers’ today. Authentic or synthetic, a gestural verisimilitude is itself a vital move, as self-preservative as it is ‘conscientious’, if mainstream poetry is to be perceived as contemporaneously relevant to these urgent times of rapidly altering perspectives, perceptions and, inevitably, tastes. Judging by form, such a focal shift is no doubt more Darwinian than Marxian: an adaptation to a shifting cultural narrative as mutative as the austerity that is gradually diminishing the false defences of capitalistic narcissism that has, by and large, predominated British artistic society since the Thatcherite ascendancy and the once endless-seeming fabrication of neoliberal ‘affluenza’. Debatably, this sea-change might presage an ‘opening up’ to new perspectives, politico-poetic approaches, which have over the past couple of decades been considered to go against the grain of New-Next-Gen de rigueur, to have hovered uncomfortably close to challenging its domesticated, apolitical hegemony. A growing radicalisation of certain sections of our culture should prompt the upper poetry echelons into taking more notice of its own counter-cultural shadow. We are still waiting, however, for fuller and more fruitful consolidation of this resolve in terms of poetic representation. Certainly the poetry mainstream needs to adapt to survive; a species apart writing in its own Teflon tower is unlikely to produce the more robust experiential poetics necessitated by this radically changing period. Tonal and topical catholicity is vital to meet the challenges at all levels; to metaphorically ‘occupy’ the various spaces and approaches in a topographically unpredictable polemical landscape. No one prosodic approach, whether it be protest, didactic, parabolic, postmodernist or obscurantist, can capture the dynamic in its own hermetically sealed vacuum; there needs to be a pooling together of poetical resources; a commingling of poetries that in less seismic times oppose one another, but which need for the moment – and it may only be a moment – to join forces for a once-in-a-generation literary cause. It is hoped that, if more as prompts than a consolidations, EV and The Robin Hood Book help push us more in this direction. As it stands, if appraised in its own isolated sphere, the deconstructive, reductionist impersonalism of much postmodernist poetry seems ill-equipped to effectively address the pressing issues concomitant to a systemic siege against our already vestigial social democracy. Irony and satire have their place, but they need discernable objects, or subjects, to be more than mere stylistic conceit. This is a time where the more empty postures and synthetic epiphanies of supplemental postmodernism sit jarringly against a backdrop of apocalyptic newspaper headlines. How can a customarily solipsistic species of poetry even begin to tackle such a macrocosmically ‘thorny’ topic as the current attack on the welfare state and the last remnants of the Attlee Settlement? More to the point, does it even aspire to? If literary critic Fredric Jameson’s description of postmodernism as the “dominant cultural logic of late capitalism”1 is anything to go by, this polemical impasse in the predominantly postmodernist mainstream, at least with regards to more left-wing, “anti-capitalist” sentiments, does seem to be a casualty of (self-imposed) stylistic remit. Small wonder then that other poetry communities outside the postmodernist paradigm, free of socio-political inhibitions, have stepped into the breach; to have not done so would have been negligent to the point of cowardice. And all such poets wish to encourage is a more encompassing poetical response to the injustices of this period. But instead, by implication, whether cryptic or explicit, there is an atmospheric sense of having trodden on invisible toes. For instance, subsequent to the initial surge of polemical poetry post-election, there has been a sporadic but detectable spread of platitudes from choicest high profile poets as to poetry’s intrinsic “politicalness”. Such supplemental interventions have phrased themselves in such a proprietorial way as to elliptically impart a pincer-movement of the lips around any lesser known poet-upstarts who take it on themselves to choose a more vocal, ‘declarative’ stance against this government, without any prior deferential nods to the ‘doyens’ of the medium, or observance of unspoken protocols of cultural permissions. To-day, writers can still change history by their pleading, and one who is not political neglects the vital intellectual issues of his time, and disdains his material … He is not a victim of his time but a person who can alter it, though if he does not, he may be victimised. He has to be political to realise himself, and he must go on being political to protect himself. This campaign takes some heart in such sentiments; and, in the marked absence of any politico-poetic imperative, will pitch the tents of its protest anthologies, making its presence felt – however vicariously – on the page, in the manner of a Poetry Occupy; an indefinite cross-partisan presence on the factional map of the poetry scene with the hope of influencing other poets of various stylistic allegiances to join us in this verse campaign against a distinctly anti-democratic and socially draconian government. If this Conservative-led administration is effectively – to borrow a phrase aimed at ministers of the mid-70s cuts from the eponymous socialist Labour MP in Trevor Griffiths’ 1976 TV serial Bill Brand – “killing with ink”, surely it is the duty of all poets who oppose its Malthusian social cleansing to use their own inks to reclaim our politically subverted language and demonstrate theist true moral value through adversarial verse. Now does not feel like the right time to be asserting “poetry’s rugged individualism in the face of mob rule”. But for some peculiar reason, and unintentionally no doubt, the country’s ‘progressive’ media – the unambiguously socialist Morning Star apart – seems yet to translate its patronage of oppositional politics into patronage of contemporaneous literature which noticeably articulates such oppositional politics. The Morning Star’s Well Versed Column (edited by Jody Porter) seems almost alone in the national media in providing a platform to the politically engaged poets of our time. Even in the poetry publishing scene itself, the outlets for polemical poetry are few and far-between, but all the more important for it: radical imprints such as Smokestack Books, Five Leaves, Sixties Press, Red Squirrel, Flambard, and the late John Rety’s Hearing Eye, and journals such as Red Poets, The Penniless Press and – since 2007, this writer’s own webzine –The Recusant, have all contributed in print and online to a surge in left-wing socio-political poetry, which is growing in strength by the year, with recent additions including The Spleen, Jody Porter’s ‘Well Versed’-related blogsite and the newly – and timely – revived counter-cultural titan, The International Times. As well as these, and the Poets in Defence of the Welfare State (PDWS) anthologies, there have been numerous poetry collections published in the past few years addressing both pre- and post-austerity political vicissitudes: Michael Horovitz’ A New Waste Land (New Departures, 2007), Andy Croft’s Sticky (Flambard, 2009), Niall McDevitt’s b/w (Waterloo Press, 2010), Steve Spence’s satirical A Curious Shipwreck (Shearsman; shortlisted for the Forward Prize 2011); in 2011 alone: Nigel Mellor’s For The Inquiry (Dab Hand Press), Clare Saponia’s Copyrighting War and Other Business Sins (Olympia Publishing), Paul Summers’ union (Smokestack); and just published, Helen Moore’s Hedge Fund, And Other Living Margins (Shearsman, 2012) – to name just a handful. Very tellingly, a more concentrated surge of politically inclined collections has sprung since the last General Election. Most politically engaged poetry today, being generally outside the ‘mainstream’, has to work extra hard to gain its audiences. Reviews tend to be the main promotional currency for the smaller imprints, partly because the major prizes are mostly dominated by the ‘bigger’ imprints. Establishment imprints and journals are arguably complicit in the wholly unnecessary obscuring of such abundant and challenging output of the small presses. This makes it all the more frustrating when otherwise astute cultural commentators such as John Pilger and Terry Eagleton hit out at the paucity of ‘high profile’ political poetry, but by curious emphasis on ‘eminence’, fall into the common mainstream media trap of browsing no further than the spines of the ‘big six’ – Faber, Picador, Carcanet, Bloodaxe, Cape, Chatto (and their nearest competitors) – in their local Waterstones, to form their generalisations. If they did look beyond these imprints, they would discover an entire universe of alternative poetics being published today, much of which is resoundingly polemical, if not directly political. Nevertheless, the point made by Eagleton that “for almost the first time in two centuries, there is no eminent British poet… prepared to question the foundations of the Western way of life”, is in itself a much-needed statement, even if it is slightly solipsistic in its scope, and tight in its definition of “eminent”: while the most ‘highly ranked’ contemporary poets – though largely by their own self-regulating peers – come across as almost uniformly apolitical, one can argue that other poets of equal ‘eminence’ (in terms of output and critical reputation) are currently addressing these issues. But one also suspects that the aggressive media marketing of major poetry prizes is expediently used by most outside the poetry scene as a chart-list of “eminent” names; which they are, but mostly only among a narrowly ranged mainstream, and generally not of any other poetry constituency, of which there are many: modernism, formalism, polemic, protest, ‘naif’, ‘outsider’, and so on (though this representational deficit is slowly being challenged through new ‘alternative’ annual rankings in such places as Stride, The Poetry Kit and Purple Patch. If even esteemed leftfield thinkers such as Pilger and Eagleton do not seek these alternative poetics out, then who will? It is ironic of John Pilger to opine the absence of a Shelley or Orwell in the very – and only – newspaper that weekly publishes the type of poetry most likely to be the closest contemporary equivalent. Or does Mr Pilger skip the Well Versed column every Thursday? The very fact that Messrs Pilger and Eagleton continue to tug at the coat-tails of indifferent high profile poets in an attempt to drag out of them a few words of token political comment betrays a disturbing deference to establishment definitions of what constitutes the most important in contemporary poetry, which one would not really expect from two of the foremost left-wing socio-cultural pundits of our time. Again, it is more evidence of that political-cultural Cartesian Dualism that retards the ‘progressive’ media in general. It also reminds those poets on the fringes of a narcissistically competitive poetry culture, just how much disproportionate weight is given – almost unconsciously – by the reading public to the FTSE-like ‘ranking’ of a poetry imprint rather than the actual quality of the poetry it publishes. This is an unsurprising but still parlous state of affairs, particularly for the legion poets who write in contradistinction to fashionable formulas promoted by the higher imprints; who know full well their own poetry, irrespective of whether or not it is ‘good enough’, is unlikely to be taken up by the ‘Cabers’ and Picaxes’ because it just doesn’t fit present trends, or threatens their hegemonies. Apart from anything else, Pilger partly argues against himself when bemoaning the absence of a “Blake” among the upper poetry echelons (again, why insist on always looking up? ): he should know from that very example that the last place to look for the most dissenting voices of any time is among its establishments; more so among the obscure, such as Blake was himself in his own lifetime. Pilger makes a point but with dubious examples, while also missing the bigger picture, as does Eagleton: the question should not be: Where are the “eminent” Blakes, Shelleys and Orwells? But: Why aren’t they more visible? Why aren’t the bigger imprints publishing them? Ultimately, even these venerable observers only further advance the very apolitical literary scene they so outspokenly criticise: if they want more politically engaged poetry to gain wider notice and a higher platform, then they must start to look outside the chain bookstores to the smaller presses, online catalogues such as The Poetry Library for instance; then buy and read these books, perhaps even review a few in the broadsheets, in order to give them more exposure. Assuming, as their interventions suggest, they are both passionately appalled by the present absence of literary polemic, it might be Messrs Pilger and Eagleton’s new mission to scout out and discover the more politicised ‘underground’ poetics and prose of our time and champion it themselves. Until they do so, they would seem themselves partly culpable for contemporary literary Quietism, since they appear to still be nursing a wilfully naïve faith that ‘high profile’ necessarily means high quality or importance (except by its own self-fulfilling prophecy), or that the ‘bigger’ imprints have a superior acumen in terms of talent-spotting than the smaller ones. Such ‘faith’ in literature’s ‘free market’ as conducive to filtering through the most important or necessary writing of the day would seem to contradict practically everything else these two cultural commentators stand for. Many would argue that if the prime directive of the poetry establishment’s titan imprints was to objectively discover the strongest and most challenging poetry currently being produced, then the hallowed spines of every Waterstones and Blackwells throughout the country would be ringing with some very different names to many they presently enshrine. What seems evident during the last couple of decades is an almost formulaic reproduction of a certain constrictive type of poetics, shorthanded by its critics as ‘mainstream’, by its scholarly cataloguers as ‘postmodernism’, and by its (postmodernist) exponents as simply ‘poetry’, in spite of a large proportion of it possessing more the characteristics of prose. (Postmodernism, of course, has nothing really to do with modernism, but seems only named thus for having followed – or circumnavigated – it, and arguably, failed in the process (perhaps deliberately) to define its own distinct purpose, being a rather cloudy melange of Forties parochialism, ‘Black Mountain’ poetics and Fifties ‘Movement’ verse, allied with additional ekphrastic2 and Hermeneutical3 preoccupations). The representational logjam at the core of the left-of-centre cultural Commentariat is particularly marked at The Guardian, The Independent and the glossier ‘progressive’ magazine titles such as the New Statesman: all appear party to unspoken protocols or codes of hierarchical deference to ‘self-regulating’ cultural elites that fly in the face of their ‘meritocratic’ and ‘inclusive’ stances. Such titles still appear to have chronic blind spots to the necessary aligning of editorial political ethic with corresponding cultural representation; or, of ethical rhetoric with ethical practice. Inescapably, as long as this politico-journalistic-cultural interface remains in disconnect, any ‘progressive’ aspirations for society in general remain, in turn, permanently retarded. Left-of-centre outlets that argue for greater equality and meritocracy, for a trampling of the hedges of nepotistic pecking orders, are – perhaps unconsciously – contradictorily complicit in a symbiotic myth-maintenance of the cultural sphere, by demonstrably up-keeping the ‘hedges’ of artistic and literary hierarchies (which are themselves the artificial constructs of the capitalist culture these titles supposedly wish to transform, or even, incrementally, overturn). Purely material ‘revolution’ is ultimately an empty pursuit: it must also have a cultural and psychical dimension; it must involve a transformation in thought and behaviour, prejudice and habit; a comprehensive erosion of false favouritisms, preferential treatments and spuriously gauged barriers to opportunities for those who merit them. The historically consummate left-of-centre New Statesman, first launched by George Orwell in 1913, seems in latter years to have strayed perilously far from its ideological roots (its overly self-conscious pluralism being one example), particularly in terms of cultural representation. Its current editorial board appear to see no inherent contradictions between their ideological overtures and distinctly establishment-centric protocols regards cultural candidatures; whether this be in Oxbridge-culled columnists or contributing poets from the ‘big six’ imprints (many of whom are culled from UEA-type creative writing programmes). Such selective ‘scouting’ tends to result more often than not in the systemic recruitment of almost entirely theoretical – as opposed to experiential – ‘left-wing’ columnists and polemicists ‘preaching to the converted’ on issues which few if any of them have ever actually experienced or been challenged by directly in their own relatively well-heeled lives. Not that this is to denounce the reportage of macro-empathy, but it is to highlight something of a representational contradiction, a poverty of empirical insight, and a still endemic dearth of non-Oxbridge, red-brick, state-educated, or (perish the thought) working-class commentators. For full-blooded socialist titles such as the Morning Star, there is a more authentically classless quality, and this is, in part, reflected in the more politically ‘declarative’ poetry excerpted in its robust Well Versed columns. (Such poetic interventionism at this time seems pretty imperative in terms of reviving a sense of solidarity between the literary and social spheres; a sense of what Marxist poet and critic Christopher Caudwell would have perceived as the vital integration of the ‘poet’ into society, fulfilling his or her core social function, as opposed to its emasculated, ‘bourgeois’ dislocation from readerships). But an editorial deficit seems to have opened up at the NS between principles of meritocracy and their intra-textual application. This is not so much hypocrisy as proverbial journalistic short-cutting; it’s just that many would have hoped that the New Statesman might have tried to buck this trend rather than absorb it into its shadow editorial policy (ditto The Guardian, fellow-sufferer of the perennial chronically gradualist ‘embourgeoisement factor’, or ‘Em Factor’). Indeed, such titles have yet to trace the clear link between their own ‘Russell Group’-style elitism of recruitment and exclusivity of by-lines, and the perpetuation of the cultural stratification and ‘celebritising’ philistinism of the nepotistic capitalist ‘pyramid of patronage’ they purport to oppose. But while the ‘progressive establishment’ and its numerous outlets seem healthily keen to reject capitalist hegemonies and hierarchies, they seem detectably less keen to surrender their own meticulously selective methods and mouthpieces for communicating this. If there is to eventually be a progressive ‘post-capitalist’ transformation of society and culture, then its’ most elevated proselytisers must be prepared to sacrifice their own detectable elitisms and monopolies – a socialist aristocracy would please no one; only authentic social and cultural meritocracy will do. Cracks are slowly showing in the hitherto closed-shopped ‘poetical classes’ with the recent principled standing down of poets Alice Oswald and John Kinsella from this year’s T.S. Eliot Prize shortlist in protest against the Poetry Book Society’s acceptance of private hedge fund company Aurum’s patronage, following disinvestment by Arts Council England (ACE). Here, at least, has been a belated gesture of solidarity with wider society from two high-profile poets who decided that their individual consciences took precedence over personal ambitions. Thinly veiled carps from the sidelines by one or two of their fellow ‘high profile’ contemporaries demonstrated the otherwise far more typical culture of compromise and complacency still entrenched at the heart of the British ‘poetry establishment’. This has never been more starkly in evidence than at this time, when seemingly its biggest movers and shakers appear to be motivated by priorities of a parallel universe. Far from penning, or just voicing, gestures of solidarity with the wider public during a time of unjustly meted-out national austerity, itself a result of the despicable behaviour of unregulated hedge-fund speculators, the mainstream ‘giants’ – the shortlisted and the shortlisting – seem oppositely content to languish at the fag-end of their funds-thinning empire by accepting sponsorship from a hedge-fund agency. Apparently such a badly timed ethical ‘compromise’ on behalf of the upper poetry echelons is worth it, according to the markedly unapologetic T.S. Eliot Prize apologists. But even if said prize did genuinely seek out the objectively appraised ‘best’ in contemporary British poetry, rather than playing ‘pass the parcel’ among a rota of repeating ‘names’ promoted by a tiny self-regulating elite of ‘top’ imprints, there could still be no literary justification strong enough to overshadow the ethical Colossus-in-the-room of pawning the most iconic podium of poetic recognition in the country to an opportunistic hedge-fund outfit. Not at the best of times, not at any time; but most emphatically not at this time, when our very social fabric is up for sale, thanks to the recent shady practices of such auspices. Margaret Thatcher, the once unlikely muse of a generation of British poets, is currently being portrayed on our cinema screens in tragic decline, like the spectre of capitalism itself. But to those incredulous to the ‘natural selection’ or Darwinian characteristics of the rapaciously competitive and factional poetry scene, such a sentiment feels more tokenistic than authentic; a bit like digging out an old rusty badge to say “Yep, I’ve been a member of that for ages”, but finding the safety-pin has corroded stiff through lack of use. Because although most contemporary poets would assert they were politically ‘left-of-centre’, “anti-capitalist”, historically ‘anti-Thatcherite’, these views do not perceptibly match the behaviour of the more robustly ambitious among them from (unconsciously?) applying rather Thatcherite instincts of ‘animal spirits’ in terms of self-promotion, factional promotion, and passive-aggressive resistance to – and non-promotion of – poetic alternatives. This is not to say some of us are entirely innocent of such ‘adaptive’ manoeuvrings ourselves, but it does seem more marked the higher up the ‘pecking order’ one looks – as in most sectors of society; perhaps all poets, whether mainstream or marginalised, need to do some ‘soul-searching’ (see further down) at this time. In the case of the Eliot Prize apologists, however, it was rather like listening to a bunch of children wining “We didn’t want to do it, we weren’t given a choice, the nasty capitalist system made us do it”. But there is a choice: assert poetry’s spirit of transcendence above shoddy materialistic compromise, but receive less Smarties; or spinelessly capitulate to the marketisation of an art-form, and keep getting the same amount of Smarties. But does it never occur to such poets that a triumph of pragmatism might symbiotically involve a whittling of the spirit of the very ‘poetry’ for which they are apparently prepared to put their personal ‘principles’ aside, in order to keep in the public eye? And keep in the public eye to what purpose? High profile prizes mostly seem to only keep a very select 1% of poets in the public eye; they do not, in the main, recognise the full range and choice of contemporary poetic practice. It’s the old paradox of the fallacy of a “free market”: unfettered competition ultimately leads to contra-competitive monopolies. Many readers would ask where the evidence is for any of these assertions, while pointing at an abundance to the contrary; indeed, if almost habitually publishing poetry from a repeating cabal of ‘names’ – which PR has been accused of publicly for some time now – isn’t its own form of ‘parochialism’, one wonders what is. One poet suggested that ‘poetry should be questioning not endorsing such institutions’. What poetry, or indeed poets, should do presents an intriguing dilemma. Does the act of writing make us automatically ‘right thinking’ in political terms (where ‘right’ means ‘left’)? Together with the highest level of work, there were many less processed responses to current events: to the August riots, the credit crunch, the ever-widening divide between rich and poor. For some, full rhymes with ‘bankers’ had proved irresistible. From the Thirties to the Sixties, to the Eighties, the high points of twentieth-century poetry have coincided with the proverbial ‘interesting times’ of social unrest. The 2010s look set to prove as fruitful. brought about by financial mismanagement by companies similar to the one involved. This is absolutely true and, in a circumlocutory way, Bryce is not entirely exonerating the PBS of criticism. But there is still the implication that the funding cut to the body in charge of the highest profile poetry prize in the country was entirely arbitrary and not based on any other operational or qualitative considerations. Certainly the ‘Aurum card’ played was beyond tactlessness, or disingenuousness; even post-modernist ‘irony’ would find it tricky to get a grip on it; and, as a gesture, it would appear to put a seal on long and widely-held suspicions that symptoms of opportunism and one-upmanship are endemic (even epidemic) at the ‘top’ end of the poetry scene. In the long-term this overture of complicity to a morally compromised capitalist-cultural machine by its compromised prestige-addicted alumni will go down as one of the least edifying episodes in the recent history of British poetry; a kind of ultimate antithesis to the literary and literal altruism in response to a call to arms from the besieged Republic of Thirties’ Spain to help defend its socialist democracy against Franco’s Fascist uprising. We all know how that ended, and was protracted; we also know that a generation of young left-wing writers volunteered in the International Brigades and the POUM to put their guts where their pens were and risk their lives in the fight – of some of the most well-known, Tom Wintringham, WH Auden, Stephen Spender, Robert Graves and Orwell all survived; John Cornford, and Marxist polemicists Christopher Caudwell (Illusion and Reality et al) and Ralph Fox (The Novel and the People; Storming Heaven et al) did not. In 2012, those politically sympathetic poets with the most far-reaching public platforms at their disposals have comparatively little if nothing to lose in speaking out against the political injustices of a right-wing Tory-led government – yet they are, in the main, silent. Certainly on that ostensible point we agree with Messrs Pilger and Eagleton’s interventions. 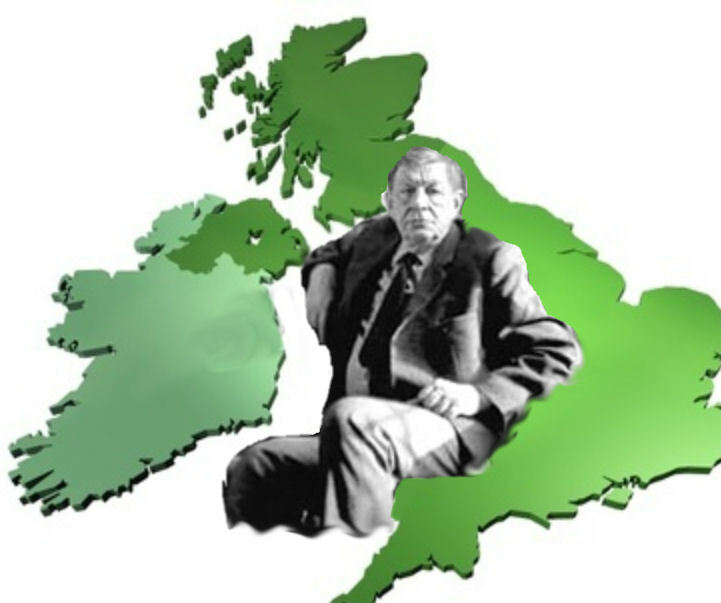 Rather than being occupiers of a second poetic ‘Auden Country’, then, the ‘poetry establishment’ seems content to be its absent landlords, allowing it to sit derelict until an influx of verse-‘squatters’ spurn them into a sudden assertion of custodianship, but in the marked absence of contractual reciprocation. Previous efforts to evict EV and similar poetry campaigns from this pitch have been, one might say, elliptically detectable, both through significant contributory abstentions, and journalistic omissions in some flagship outlets of the ‘progressive elites’. The Robin Hood Book carries the same counter-cultural baton into a now part-privatised ‘Auden Country’. Outsourcing and sub-contracted ‘inclusiveness’ projects have been in operation in recent times: some high profile imprints have launched their own ‘outreach’ mentoring programmes but it remains a shame that these mostly tend to ‘scout’ out into rather hermetically sealed spheres. There is therefore an ‘unspoken’ protocol at work, logical in itself, but not complimentary to its medium, nor comprehensive or imaginative enough to harvest the full crop of contemporary talent in all its richness and diversity (and often the most startling and distinctive poetry crops up in the most unlikely of places). Such self-regulating ‘schooling’ of poetics also, inevitably, results more often than not in a formulaic ‘voice reproduction’ which, if left unchecked, can actually arrest organic poetic development, and obscure more experiential poetics. There is no longer a fence for intellectuals to sit on: they must choose between fascism and anti-fascism; and magazines of modern poetry can no longer pretend they are Something Apart. Though this statement was written in relation to the rise of Spanish Fascism, its rudiments can just as easily be segued into contemporary polemic regarding the disturbing complacency among the British literary elite towards the ascendancy of our own home-grown Tory ‘Blueshirts’ and their fiscal fascism. EV made the bold point that it was attempting – only attempting, mark – to countervail the literalist interpretation of W. H. Auden’s famous (and possibly ironic) aphorism, “Poetry makes nothing happen”, in its attempt to rouse contemporary British poets to the call of the pen in a verse campaign against this Conservative-led government; “a big poetry for a ‘Big Society’”, as it was also coined at the time. That poetry can make things happen is still an ambition of spirit implicit in our anthological campaign against what we perceive as an un-mandated and therefore undemocratic administration, albeit with our eyes now more open to the deep-veined cynicisms and prejudices of some more reactionary corners of literary-journalistic culture. But our spirit is not by any means necessarily in opposition to the sentiments of Auden in what was arguably a slightly cryptic, rather crafty, trope, tellingly emphatic more on the part of action, of causation, in its assertive and proactive phrasing “poetry makes”, before concluding with “nothing happen”. The word ‘nothing’, in the literary cannon – particularly in the taciturn emotiveness of Cordelia’s reply to King Lear’s prompt for her to engorge his ears with some wholly superficial verbal gesture of her love for him – can be a loaded one, often as indicative of ‘something’, or even of an unspoken abundance that transcends the verbal. Auden’s aphorism has a contradictorily catalytic quality to it, in spite of its ostensible negation. In this selection we have endeavoured to pacify, if not to content, both the progressive and the reactionary. And to the latter, who doubtless will be in the majority, we would suggest that poetry which does not at least attempt to face the circumstances of its time may supply charming holiday-reading, but vital interest, anything strictly poetic, it certainly will not. …. At the same time, the progressive would be unreasonable to expect confidence until he has proved that his destination justifies his speed. One editorial difference here, however, is that EV – perhaps slightly greenly, and to its subsequent partial chagrin – didn’t “endeavour… to pacify …the reactionary”, nor even particularly for that matter ‘the progressive’: its intention wasn’t to ‘pacify’ at all, but to prompt, to challenge, perhaps ‘ruffle a few feathers’ too, which it did, to a degree beyond even its own predictions. But note Auden and Plumb’s uses of the words “attempt” and “speed”: both pretty much sum up the fundamentally kinetic characteristics of contemporary polemical poetry and its close relation to more spontaneous ‘protest poetry’. On reflection, due to its race to the page to chase the new political momentum and, however quixotically, attempt to arrest some of its worst excesses of propaganda before the rot truly set in, EV was perhaps as much inclined towards ‘protest poetry’ as it was less spontaneous ‘polemical poetry’ – though, taken altogether, it presented a tonal and stylistic heterogeneity which proved slightly foxing, or just plain inconvenient, to some. This book, which has taken a bit more time to put together, and this time by the ‘two heads’ of an editorial collaboration, displays among its still stylistically varied poetry some contributions that are ostensibly perhaps more considered, observational, satirical, or “processed” in approach – as is perhaps inescapable after a year and a half of greater assimilation as to the effects of government policies and imposed austerities, composed as many have been at some distance to the barrage of black announcements during summer and autumn 2010. Having said that, there are many contributions to this book penned pre-austerity, but still germane to the more timeless themes of this campaign, and thus put to timely use. It is hoped this lends some parabolic muscle to an otherwise topically combative anthology. Though this campaign is reticent to entirely buy into the sanctification of Auden as the nation’s posthumously inalienable yardstick of English ‘political’ poetry (an epithet in any case resting almost entirely on a small per cent of his output, between 1931-39) – would, moreover, be inclined to cite less canonised names of the last century as having been every bit as, if not more so empirically, ‘poets of the people’: Joe Corrie4, Richard Free, William Robert Halls, Charles Poulson, William Dorrell, Leslie Mildiner, J.A. Elliott, Sue Shrapnel, Howard Mingham, to name just a handful of relatively fugitive 20th century working-class poets of more experientially tested social consciences5 – and would partly subscribe to notions of his and his circle’s rather ivied-quad ‘attitudinising’ in some aspects of their slightly gauche, undergraduate ‘Communist’ postures (which practically all of them ultimately abandoned anyhow), there is nevertheless a certain tidiness of thought to Auden’s deeply skeptical approach to the quandary of poetry and politics, activism and action, and the pros and cons of their fusing together, which at least on an intellectual level leavens any subsequent attempts at segueing these mediums. In these questions there is a new and different conception of the literary act, adapted to a sense of the critical nature of time. The writer must be strict and adult, adjectives that impose moral discipline upon the act of writing. By his pen – in his role as a writer, and not simply as a citizen – he will make men aware of the need for action, and of what action means. His insight will give men strength to resist their enemies, without and within. This is more than simply a moral theory of literature, it asserts a direct relation between literature and action in the public world; writing becomes a mode of action. This writer tends to err towards Hynes’s synthesis: poetry through its reciprocal relationship with a public symbiotically instrumental to its amplification and authentication on the published page, and in spite of some practitioners’ solipsistic fancies of inexhaustibly self-generated subjects, is implicitly political – as is all literature, and all mediums which mine human ideas and emotions: the public, as much as the private self, is an essential source of ‘subject’. It just so happens this sensibility reached a peak during the cultural neurosis of the Thirties’ ‘morbid age’; and arguably hit its nadir in the Nineties and ‘Noughties’, probably due to ‘the Third Way’s’ annulment between politics and party ideology. In our current decade, one with uncanny parallels to the former, there is an embryonic groundswell of political and protest poetry, some of which is ideologically tinged, and this is a partly expected artistic response to a new age of austerity. But the key difference between the Thirties and now is that the Oxford-bolstered Audenites were in the ascendant in terms of securing established platforms, while today, their inheritors, or rather, hereditary ‘attempters’, are not; and the majority of those who are, have apparently very different priorities altogether – hence a gaping polemical deficit in our mainstream literary culture (bar some valuable interventions against library closures). Today, the poets of this country are only being encouraged to put their pens where their hearts are – hardly, one would think, such a tall sacrifice in comparison to those of the Auden generation. But, whereas the overarching quandary of the Auden generation was that of ‘poetry and action’, how far public crises should infringe on or influence the private imagination of the poet, much of today’s poetry mainstream seems more preoccupied with how far the poet’s private sphere and “rugged individualism” should circumnavigate public crises, as the euphemism “less declarative” (or cautionary and ‘non-committal’) implies. Many of today’s higher profile poets seem primarily ‘active’ in terms of self-promotion at all costs, which includes making occasional public gestures towards wider solidarities when it suits, and also subtly undermining the more ‘declarative’ initiatives of versifiers outside their charmed circles. The Audenians agonised over the trap of having to survive in bourgeois literary society while holding communist convictions inescapably committed to the uprooting of that society. No such anxieties appear to trouble today’s post-Thatcherite ‘baby boomer’ poets. Too many mainstream poets at the moment remain deafeningly silent, seemingly indifferent, or even plain evasive regarding the big topics. But none of these poets has yet deigned to elucidate the reasons for their marked lack of engagement in the political verse imperative of our time. Happily, at least 128 contemporary poets, a gallimaufry of established, upcoming and novice practitioners, have joined together in this gesture of solidarity with wider society; crucially, opting to confront the very real and urgent issues the majority of people in our communities are currently grappling with, and which affect us all – poets are not a species apart, but the mediumistic interlocutors of and for the public; the oratorical opposites to politicians. This is what, essentially, poetry should be doing, especially at times such as these; anything else is window-dressing (though frequently not even decoratively so), or as Auden put it, ‘charming holiday-reading’. …the function of the poet has, historically, been subjected to a division of labour, such that poetry becomes more specialized, until at last it has no subject but itself. Meanwhile, the function originally performed by poet-sages like Homer, Hesiod [etc. ]… namely to deal with ‘all problems of life – religious, scientific, social and personal’, did survive, but outside poetry. Note the word ‘subversive’: not a term which could be reasonably associated with the vast swathe of mainstream British poetry written today, or arguably in the last twenty or so years (to my mind, the last mainstream example of political or subversive verse would be Tony Harrison’s V, way back in 1985!). …what’s important, to Eliot … is not the content of the ideology but its adversarial structure. For Eliot … the hope of poetry lies in pitting it against civilization; distancing the means of vision still further from the means of production. Culture [in this context, ‘high’ culture] is anti-technological, anti-modern, anti-popular. Popular culture is thus structurally the opposite of ‘live’ culture; that is, it is death. Its content doesn’t matter. But any reader of modern poetry who casts his/her net wider than the select six or so imprints could tell you that while no doubt these shortlisted titles have their merits, any implication that they are conveniently (given their salubrious credentials) representative of the best in contemporary poetry requires some considerable suspension of disbelief: many could quite easily cite alternative top ‘tens’ of 2011 which would more than hold a candle to the Eliot’s. So it seems that in a year of radical cultural upheaval and dissent, this prestigious prize is still carrying the baton for a self-perceived poetical ‘elite’ (defined within its own strict remit). But how oppositely its purpose flip-flops forward compared to the life-long aesthetic strides its namesake’s own oeuvre exemplified! (One wonders whether today’s more experimental modernist schools shouldn’t just start their own annual competition and call it the John Betjeman Prize). Eliot’s own take on ‘elitism’ seemed more geared towards experimentalism than a seemingly eternal ‘tried-and-tested-ism’. Eliot was implicitly the muddier of mainstreams, a light-fingered conjurer in waders. He was essentially a ‘cerebral’ poet, albeit one with a deft emotional touch when appropriate, which, for instance, elevated his Joycean ‘Love-Song of J. Alfred Prufrock’ above the merely philosophical, to a level of epiphany, a masterfully disciplined ‘outpouring’ of middle-class neurosis more English than the English. In other senses – his Classicism, his anarchist ‘spiritually aristocratic’6 Nietzschean predilections, his self-proclaimed ‘royalism’ etc. – Eliot was a card-carrying cultural ‘elitist’, and while his was not a creed I could comfortably sign up to, the contention here is that the poetic cerebration and ‘high style’ Eliot enlisted into and championed through his own work and others’ hardly seems to be echoed, in the main, by the often ‘safe’ and un-ambitious shortlists annually compiled in his name. For those who might wish for some critical background to this point of view, I’d recommend the appropriately sallow conclusions of F.R. Leavis in his New Bearings in English Poetry (1932), more particularly his deeply pessimistic 1950 postscript in the 70s’ Pelican reprint, in which he expresses his despair at how poetry since a perceived Renaissance in the 1930s, in his view, took completely the wrong path (one which, for many, it still follows today, 70-odd years later). What we seem to have much of the time is the worst of both worlds: a form of ‘poetry elitism’ which seems to frown on anything seen to be overly stylised, unclear (or ‘obscurantist’), or intellectual; one not primarily based on discernibly sound or objective judgement formed from any obvious poetic qualities, but more on the absence of them, and a perceived suggestion therefore – often through elliptical tone or treatment of topic – of an unquantifiable ‘sublime’, in part, or largely, reliant on the readers’ own interpretations (though not quite in the sense of Empsonian ambiguity). This could be seen as a means of democratising poetics, of involving the reader more in the poetry, chiefly in trying to fathom its meaning, purpose, or even whether it is poetry at all, which can result more in making poets out of the readers than distinguishing the poets themselves (though I’d think this is not intentional); but more often than not the effect comes across as vague, overly impersonal, even unimaginative and dull – or one might dare say, bloodlessly bourgeois, as if composing a poem has become more of an obligation, habit or class-pastime than a creative impulsion or expressive reflex. There is as well a shadow criteria at work, a perhaps slightly unconscious journalistic ‘package’-approach: biographical tick boxes, ‘merit’ of high-achieving educational background (as if, anyhow, one’s academic credentials have any bearing on one’s creative ability), prosodic ‘polish’, accessibility, commercial appeal, pared down ‘clarity’ of expression, and other factors seem, often transparently, to come into play in deciding which up-and-coming poets will be precipitated as the precocious cream of their generations. If, however, as the case may still be, such approaches are believed by their apparatchiks to angle towards genuine critical objectivity, then the only other tenable conclusion can be that there is too a ‘wilful blindness’ towards anything that stylistically or topically diverges from a thinly camouflaged ‘formula’. This seems then to be an elitism based not so much on originality, distinctiveness or experiment, as on an approximate score of perceived ‘marketability’ – even if, as most of us sadly recognise, contemporary poetry barely has any market – arguably often based on unthreateningly mouldable, even deferential, qualities, as much as talent. Some might argue more sourly that not only has poetry throughout the past thirty-odd years ‘sold out’ to a rather shadowy populism, but it has in addition, failed to grow significantly more popular than if it had retrenched itself in the stubbornly imaginative grooves of mid-twentieth century modernism (again, one might seek out F.R. Leavis, or, to be more up to date on the debate, Andrew Duncan’s The Failure of Conservatism in Modern British Poetry (Salt Publishing, 2003), for a more in-depth polemic on these issues). So we seem to have a kind of ‘inverted elitism’ where – rather analogous to the mock-egalitarianism of comprehensive education in an otherwise irrationally competitive society – a kind of aesthetic communism is implausibly embedded in ‘the formula’ used to gauge and rank perceived contemporary poetic quality; one which seems to enshrine within it a kind of Hemmingway-esque emphasis on ‘omission’, along with a distrust of rigorous language, and an allergy to poetic personality. Perhaps it is inevitable in any prize system which almost exclusively uses practitioners in a particular medium to decide who gets the Smarties, judges will consciously or unconsciously look for submissions which stylistically and topically reflect the clear influence of their own poetry, or the promise of its further development, and therefore of their own posterity of oeuvre and influence. In such a materially disenfranchised medium as poetry, where publication and critical ‘recognition’ are often the primary or only rewards, it is even more inevitable that there will be an element of abject egoism coming into play when deciding which poets to pass the podium to. No poets are perfect, few are moral paragons; but at the same time, an increasingly prevalent self-aggrandizing, proprietorial posturing of some through a subterfuge of ‘open-mindedness’ and ‘objective’ taints the public perception of the modern day ‘poet’ to a distinctly unattractive tincture. The function of politics in poetry is to show the reader how events external to his inviolability as an individual continually impinge on his behaviour. However great the contributions of individuals of genius, talent is worthless outside a social context which permits it to be realised … We are all born with a unique genetic endowment, but nothing can be made of it without society. If the crippling were obvious, if the poor all had rickets … we would act; but the crippling is to identity so we can claim it’s nothing to do with us. It is necessary for the socialist poet to have more impressive technical equipment than his apolitical contemporaries because his task is that much more important. … it is wrong and an act of artistic cowardice to imagine that the currently fashionable or approved constitutes the work of permanent importance. This entry was posted on 8 March, 2012 in homepage, Uncategorized and tagged Alan Morrison. poetry/politics debate, arts council, Auden, poetry review, poetry society. Bookmark the permalink.